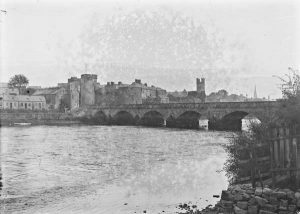 In 1197 Limerick received a charter from King John which granting the citizens of the city the same rights as the citizens of Dublin city. They were allowed to elect a mayor and bailiffs who would govern and administer the city. 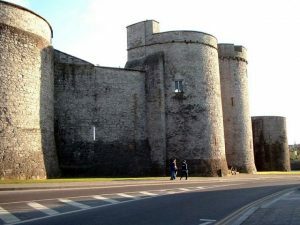 During the first decade of the thirteenth century, Limerick Castle, one of city’s most famous landmarks, was planned and built. 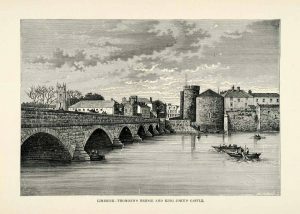 It was a five sided structure which may have been surrounded by a moat before the construction of Thomond Bridge, followed quickly by St. Mary’s Cathedral. 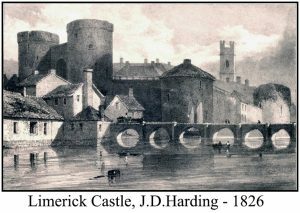 It was named King John’s Castle, after the reigning monarch, but was known also known as Limerick Castle throughout it’s 800 years. The castle also housed the city mint where the currency of the city was pressed. 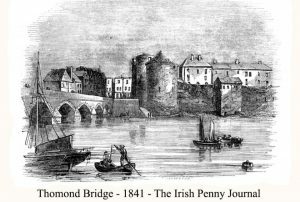 In 1224, a Royal valuation of Limerick Castle was carried out and it was found that the goods within it were “scarcely worth 18 pence”. 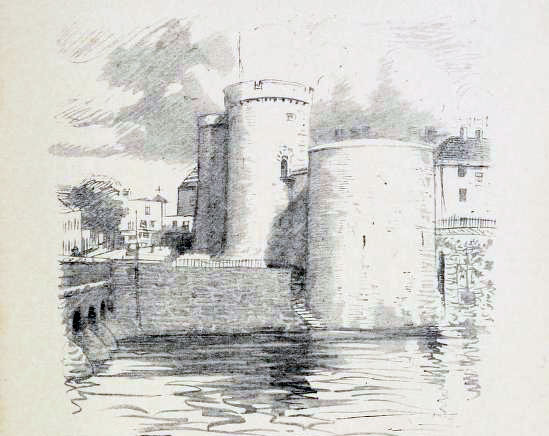 It received extensive damage during the sieges of the 17th century. In 1791, a military barracks was built within the castle. A hundred members of the British army as well as their families lived here until 1922. During this time it was known as the Castle Barracks. 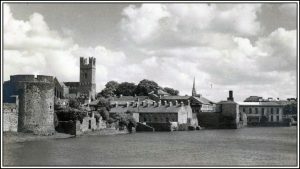 In 1935, Limerick Corporation removed part of the castle walls and erected 22 houses in the castle-yard. 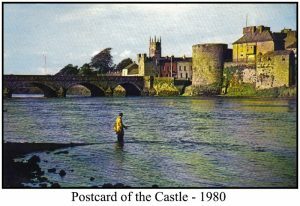 These were demolished in 1989 and Limerick Castle was restored as a tourist attraction. In 2012 it closed once more for redevelopment and reopen in midsummer 2013. 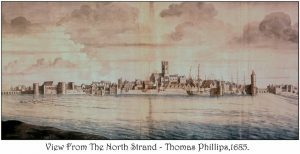 The following pictures shows how little the view of Limerick Castle has actually changed over the centuries. NextWho was Henry James Curtin?